With Hugh Jackman’s third and final Wolverine film Logan set to hit theaters early next year, Funko is releasing these adorably gruff new X-Men Logan Pop! and Dorbz vinyl figures. 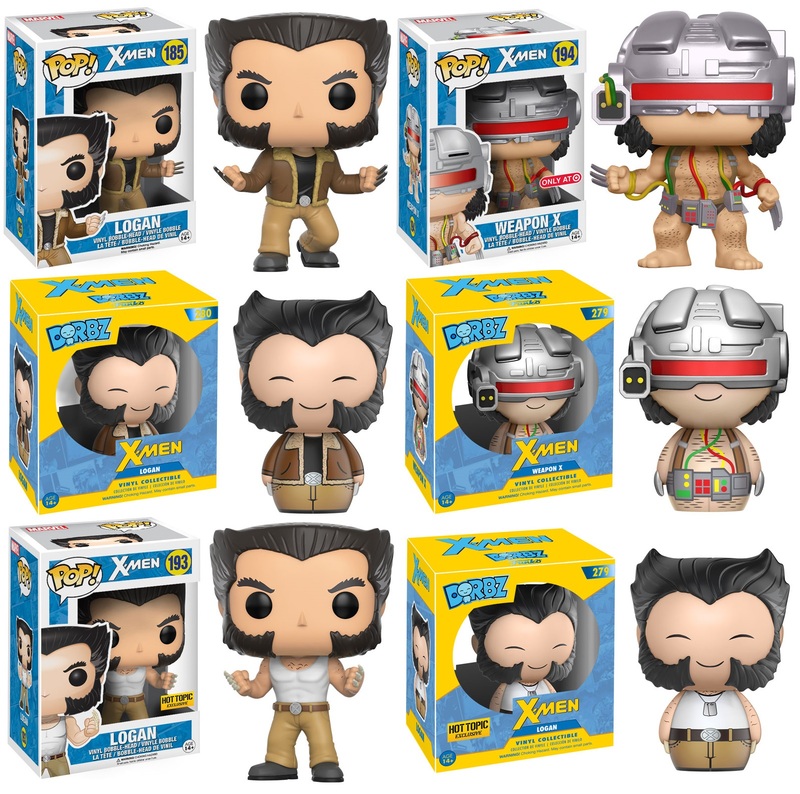 What better way to celebrate FOX’s newest X-Men film than with cute new vinyl figures of Wolverine as Old Man Logan rocking his trademark fur lined brown leather jacket or as Weapon X when he gained his adamantium skeleton! The X-Men Logan Pop! Marvel vinyl figure stands 3.75”, features one point of articulation and come packaged in a full color displayable window box. It can be pre-ordered at Entertainment Earth for $10.99 here. The X-Men Logan Dorbz vinyl figure stands 3” tall and comes packaged in a full color, double-sided window box for easy display. It can be pre-ordered for $7.99 here. The Tank Top Logan Pop! and Dorbz figures are a Hot Topic exclusives, while the Weapon X Pop! and Dorbz figures are Target exclusives.